Found one file extension association related to LiteLoader and 1 file format developed specifically for use with LiteLoader. LiteLoader is a lightweight mod bootstrap designed to provide very basic loader functionality for mods which don't need to modify game mechanics. It is designed to run alongside Minecraft Forge and Forge Mod Loader (FML) and LiteLoader mods will virtually never conflict with Forge mods. 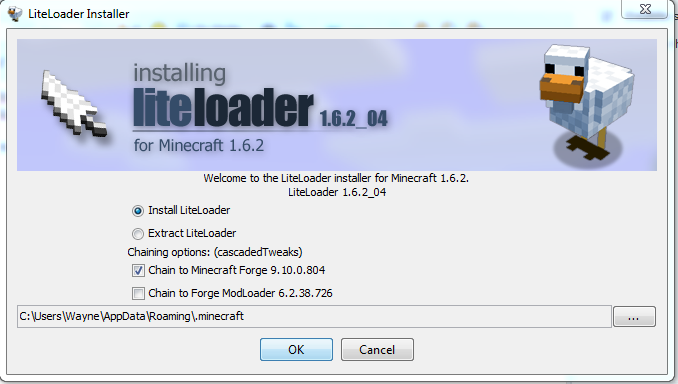 If you need more information please contact the developers of LiteLoader (Mumfrey), or check out their product website.